The Human Longevity Project is not just a film series. It’s a wake-up call to those suffering from chronic illness and those who believe the eventual onset of chronic disease is unavoidable. By studying other cultures, and the elders in the communities of remote villages, this film sheds light on what is really important to establishing and maintaining health and how to live longer healthier lives. This film series interviews not only the communities and their elders in over 50 different countries, but also professionals working in the various areas of medicine who are teaching the principles of what is necessary to maintain or regain health in our culture. The western world is filled with convenience and ingenuity, but at what cost? Can we have the comfort of modern society but balance our innate desire to connect with the earth and one another to promote better health? Listen in as Dave Korsunsky, founder of Heads Up Health, talks with Jason Prall, creator of The Human Longevity Project, about the film series on how we can adopt more simplicity, better quality food, and connection to our communities into our lives for better health. 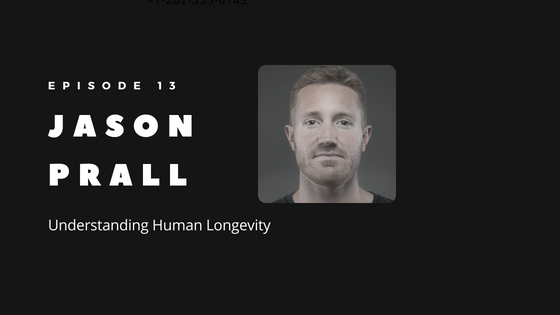 Jason Prall is a Longevity and Optimal Health Practitioner in Southern California who worked as a mechanical engineer and struggled with his own health before finding his way to health and wellness. He helps people around the globe as an entrepreneur, filmmaker, and Health Optimization Practitioner. Learn more about how tracking with Heads Up Health can help you to quantify and track the impact your lifestyle changes have on your health. How we can engineer our way back to simplicity through the use of biohacking devices because they offer trackable data to see what works for our unique bodies. Why community trumps all the aspects of bio-hacking sleep, HRV, glucose, ketones, etc.